People always say that your style will change in college and to be honest, I have to agree. While I haven't done a complete 180 and want to, say, give away all of my bright colored clothes, I think I have refined my taste a bit into a more mature look. It could just be the fact that summer is ending and fall is just around the corner, but I've been really attracted to neutrals like navy, white, gray and cream lately. Distressed jeans, for example, have become one of my favorite looks and I've been searching for a pair I love. (Help a sister out if you have a recommendation or a pair you swear by!) I've also come to wear more burgundy - it's my school's color so I guess I have to like it, right? I never thought I'd be a girl that would wear burgundy nail polish or an off the shoulder top, but I'm kind of into it right now! 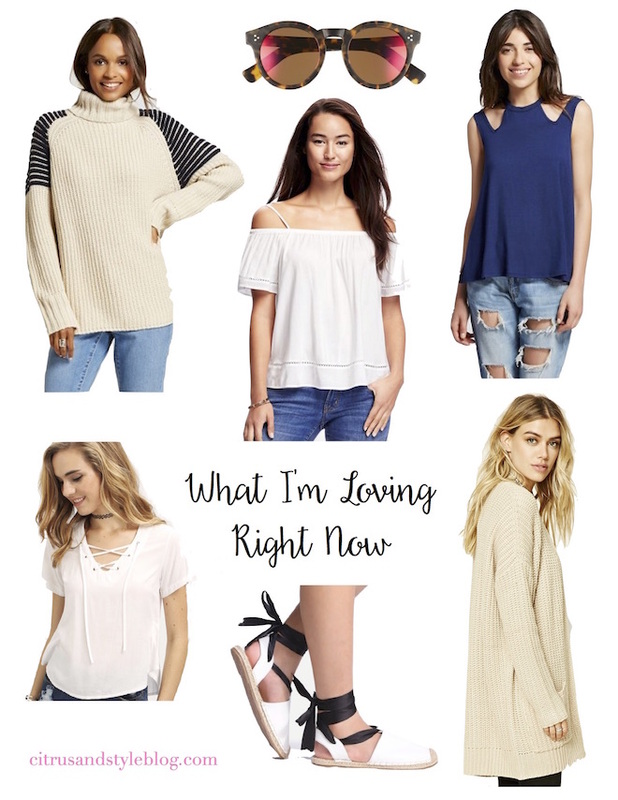 Check out some of the pieces I'm loving right now in the graphic below. I've noticed my style changing in college too! I've definitely been wearing a lot more black, gray, and white instead of my usual bright colors! I love the rockstar mid rise ripped jeans from Old Navy! They're my lest expensive jeans but 100% my favorite!